My gf, gona try-out something similar tomorrow actually. Hope its turns out as good. mine didn't turn out good the first time, i have to re-do it 2 before it took the right color, but after that it worked fine! Shes going to the hairdresser. So maybe its going to be good, she naturally kinda blondish. but she dies it black atm. 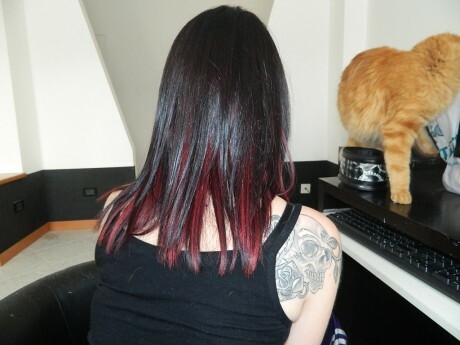 i did it at my hairdresser but the red won't just stay on my hair, then she changed kind of dye and it worked! Livingdead4life wrote: Men are like vine, and women is like grapes. When i comes to ageing. Vine gets better with some years. Thats why i added it, its hard to make a joke over internet. Haha Mr. Chaos, always making me smile! 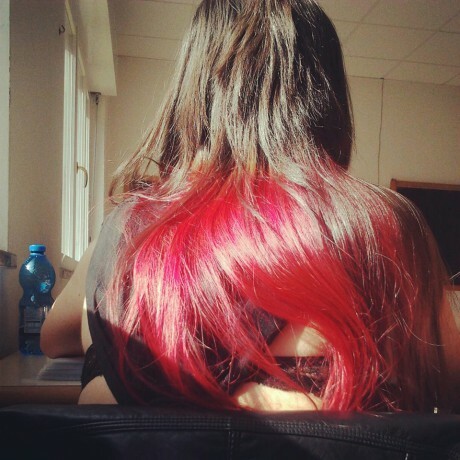 You Italians have so beautiful hair, that shine, thickness! I envy you a lot . When I was there I was impressed by the hair quality, no kidding . Livingdead4life wrote: Thats why i added it, its hard to make a joke over internet. I understand it was a joke, i just wanted to point out that it wasn't especially funny. I certainly don't want to jump on any "women vs men" feministic kinda train, I just think that while everybody understands that dismissive and mean jokes about things that hurt for exemple gay people, certain ethinicies or whatever are usually made very careful and are considered "unpopular humor", and I guess I don't understand why hurtful jokes are suddenly okay when they are directed towards half the world population. It's not that I don't have humor, I just think it's a joke made without consideration, because it IS hurtful. Ageing is way more difficult for women than it is for men, not because of looks so much but because going through menopause is a difficult, hormonefueld and pressuring time, it's a shift simliar significant as puperty. I'm not saying men could never understand that, but I am saying they don't even try. Comments like that add up on the pressure. I get your opinion, but in my book theres nothing you cant joke about. Aslong as you make it clear that it is a joke. I love humor, and all kinds. You can joke about everything but you can't joke about everything in every way.